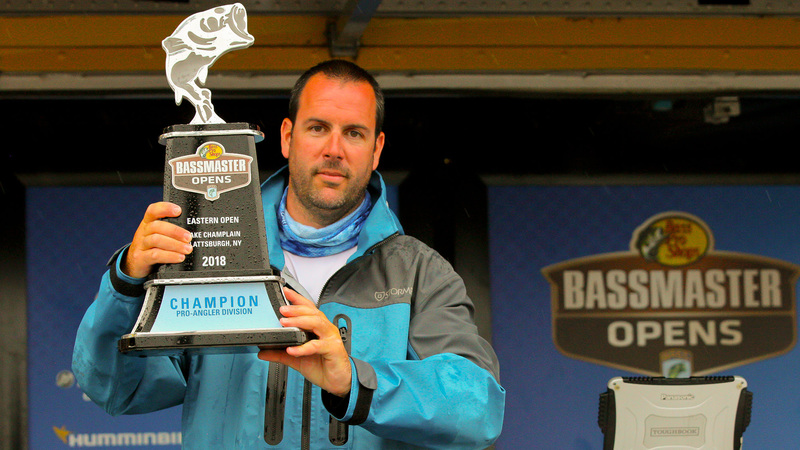 Bryan Labelle of Hinesburg, Vt., won the Bass Pro Shops Bassmaster Eastern Open No. 3 held on Lake Champlain with a three-day total weight of 58 pounds, 10 ounces. He felt that’s what he needed to hold off second-place Bobby Lane. Turns out the fishing was tough across the board today, and Labelle caught just 15-8, which was the sixth heaviest limit among the final Top 12 anglers. Still, it was enough to best second-place Buddy Cippoletti of Wading River, N.Y., by 3 ounces and deliver Labelle the first significant win of his career.